Dental caries, or dental decay, is a common disease, which causes cavities and discoloration of both permanent and deciduous or ‘baby’ teeth. As the disease progresses in a tooth it becomes weaker and its nerve may be damaged. 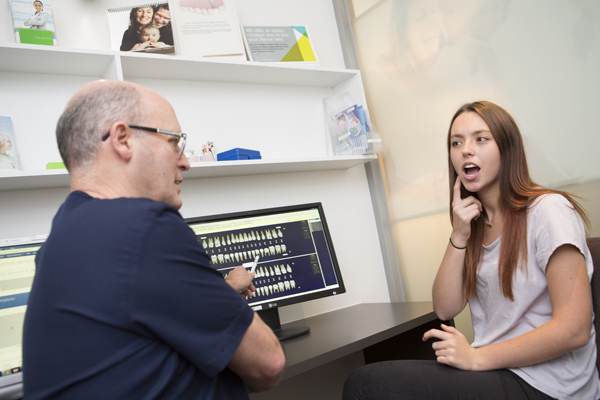 With Richmond Fine Dentistry tooth decay treatment, Melbourne has a dentist it can trust for professional and high quality dental tooth decay treatment. Dental decay occurs when bacteria in the mouth make acid which then dissolves the tooth. Bacteria only produce this acid when they are exposed to sugar. If you have a sensible diet, a good flow of saliva, a cleaning routine and your teeth get an appropriate fluoride exposure, you are less likely to get decay. Melbourne suffers, as much of the world does, from an incidence of tooth decay. Much of this is caused by the effect of sugar in the mouth. The best tooth decay treatment Richmond Fine Dentristry has to offer is prevention. Where preventative treatments are not possible our expert team can provide the fine care and tooth decay treatment Melbourne has to offer. Brushing and flossing your teeth thoroughly to reduce the amount of bacteria on their surfaces. Saliva is the best natural defence against decay. The acid from bacteria can be neutralised by saliva. A reduced flow of saliva (dry mouth) can increase your risk of decay. If you have a constant dry mouth, you should consult your dentist to find the cause. Medications that you may be taking that may have a drying effect in the mouth. Excessive intake of caffeine. Caffeine is found in coffee, tea, chocolate and cola drinks. It draws fluid from the body and reduces saliva. Working in a dry environment and not rehydrating often enough. Some specific diseases or conditions such as Sjogren’s syndrome. In the mouth, there is a constant demineralisation (strengthening minerals like calcium and fluoride being dissolved by acids) and remineralisation (strengthening minerals being re-deposited on the teeth from saliva). If your demineralisation is happening at a greater rate than remineralisation, you get loss of tooth substance. If your mouth is acidic a good deal of the day from, say, excessive and constant intake of acidic soft drinks or constant sugar intake, then the demineralisation wins and you have problems. If you are careful with the diet, then your saliva is more neutral and you will get good remineralisation to constantly repair the teeth. Early dental caries are reversible. Minerals can be deposited back onto the tooth surface if you can modify your diet and oral hygiene. Your dentist can treat early areas of caries with topical fluoride, and if you are careful with your diet and cleaning no other treatment may be required. A more advanced area of dental caries will require a ‘filling’ or restoration. Your dentist will remove the damaged and infected soft tooth structure and repair the tooth. It is important to have this done as early as possible to preserve the strength of the tooth and prevent bacteria damaging the tooth pulp. It is very important to listen to your dentist’s advice on how to eliminate the cause of your caries. Don’t think that just fixing a cavity will stop the disease from occurring in other areas of the mouth. Rinse your mouth with water after having sugary food or drink. Have a small amount of cheese after sugary food or drink. This will help to neutralise the acid produced by oral bacteria. Using sugarless chewing gum may help protect your teeth by stimulating extra saliva. Saliva is very important in protecting your teeth from decay. Do not put any sugar or other sweeteners in your baby’s bottles. Remember the drying effect of excess caffeine. Remember that smoking changes the saliva to a more harmful consistency. With the right advice and daily habits, good dental health can be yours. Visit the links below for more information. If you think you make have tooth decay, contact us today to book an appointment for treatment at our clinic in Richmond, Melbourne.